Learn more about Earth and Universe of Class 5. The sun lies at the heart of the solar system, where it is by far the largest object. 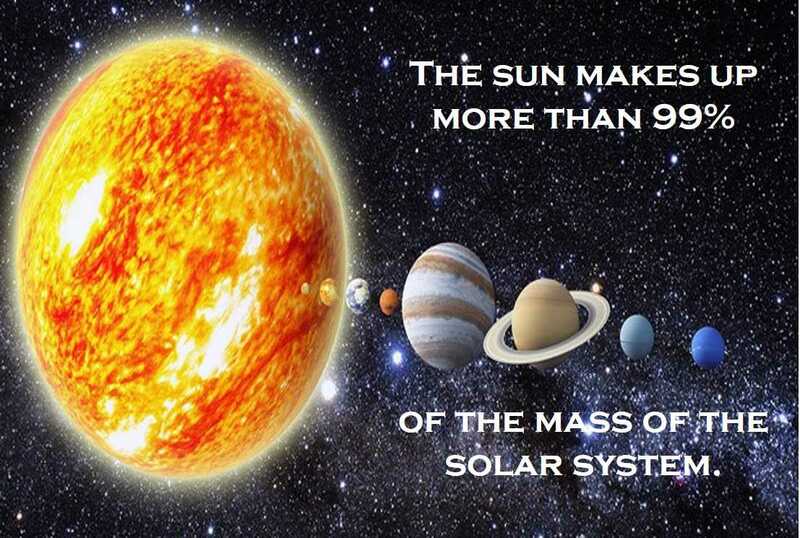 It holds?99.8 percent?of the solar system's mass and is roughly 109 times the diameter of the Earth ? about one million Earths could fit inside the sun.